GAS IT Rubber Pigtail for gas bottles with the 21.8LH outlet tap as used on Caravan's, Motorhomes, Campers vans and More - GAS IT Leisure Gas Bottles, Gas Cylincers and Gas Tanks - Catering, Motorhome, Campervan, Caravan, Farrier and Road Repair Refillable Gas Solutions. Top quality GAS IT 0.45mtr High pressure LPG hose Pigtail with 21.8LH nut x W20 EFV. 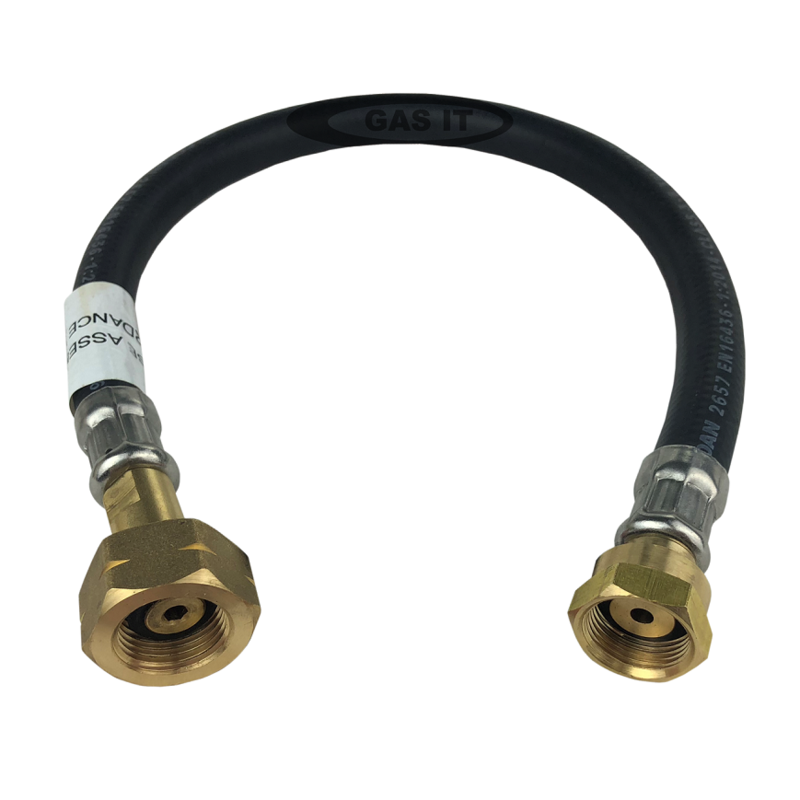 This pipe is made to work with propane and butane gas and fits the GAS IT refillable bottles, Gaslow, alugas and other brands that are fitted with 21.8 LH outlet tap valves.